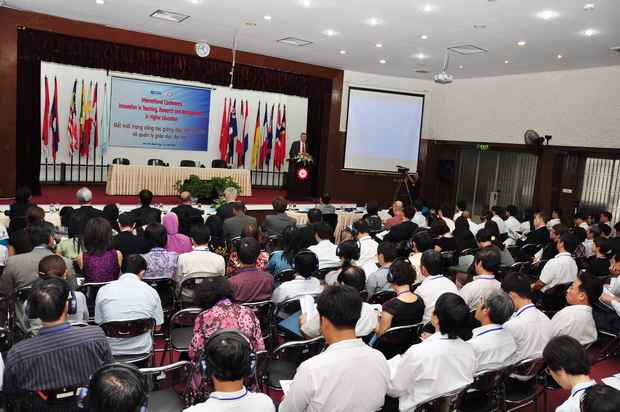 SEAMEO RETRAC, July 14-15, 2011, hosted the International Conference on “Innovation in Teaching, Research and Management in Higher Education”. The conference was held with the purpose of enhancing the knowledge and understanding of innovation in teaching, research and management in higher education. 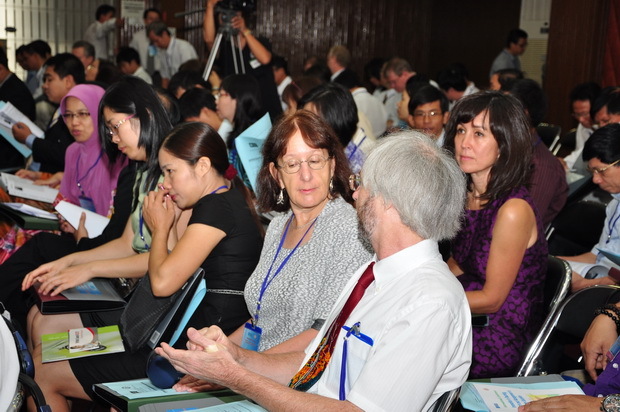 This conference was co-organized by the British Council and SEAMEO RETRAC. As many as 150 participants who are presidents, vice presidents, educators, researchers and practitioners from institutions in different parts of the world took part in the conference. A wide array of topics presented at the conference fell into four major subthemes: Innovations in Teaching and Learning Concentrating on Technology Application; Research and Development, their Impacts on the Management and the Training Quality in Higher Education; Reforms in Educational Management in Higher Education; and Quality Assurance and Governance Reform in Higher Education.